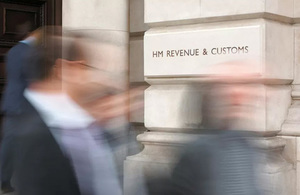 See examples of HMRC-related bogus contact. We have taken major steps to crackdown on text and email phishing scams leaving fraudsters no choice but to try and con taxpayers over the phone. If you receive a suspicious call to your landline from someone purporting to be from HMRC which threatens legal action, to put you in jail, or payment using vouchers: hang up and report it to HMRC who can work to take them off the network. Fraudsters will call your landline claiming to be from reputable organisations such as HMRC. Contact like this is designed to convince you to hand over valuable personal details or your money. Don’t assume anyone who calls you is who they say they are. If a person calls and asks you to make a payment, log in to an online account or offers you a deal, be cautious and seek advice. I know someone who could fall for this, what should I do?